The Versator Tissue Morcellator is a unique reposable design which is partly reusable and partly disposable. The system is comprised of a single use Handpiece, which goes inside the body and the Rotor, which transmits power to Handpiece. The rotor is reusable up to 10 times and is able to be re sterilized. This versatile combination offers benefits of both worlds such as Cost Effectiveness and Performance. 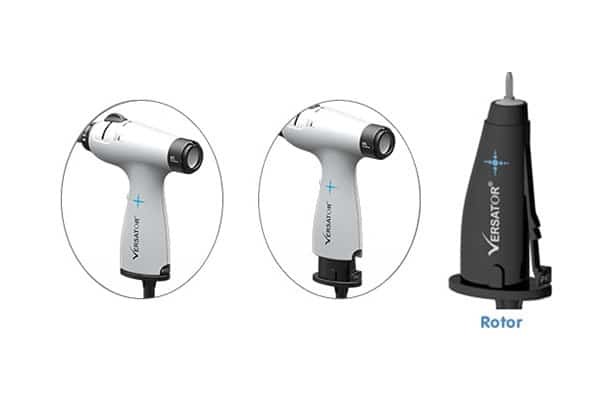 The Versator Drive Unit (VDU) consists of an innovative design to drive the Versator Handpiece efficiently for any type of laparoscopic tissue morcellation. Highly effective even for calcified tissue – High torque motor and razor sharp blade ensures smooth cutting even through calcified myomas. Ergonomically designed – Ergonomically placed controls & grip of Handpiece, an intuitive interface, and foot pedal activation goes a long way in creating a fatigue free procedure. 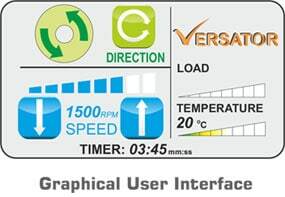 Simple to Use – Simple and easy user interface and a Quick & One-touch connection with the Handpiece helps the user in quickly mastering the technique. Broad speed range – The Drive Unit has a minimum speed and maximum speed which can be fine tuned in eight steps. This gives users better control over morcellation speed and increases efficiency. High Quality Materials – Use of highest quality materials to ensure longer life and better reliability for years. POWERFUL High torque motor & efficient mechanism ensures you always have enough power for all tissue types. The safe tissue morcellation system comprises of VDU, Handpiece, Rotor and Tissue Isolator. This unique package also includes accessories such as Obturator for Handpiece insertion and Introducer for Isolator insertion. 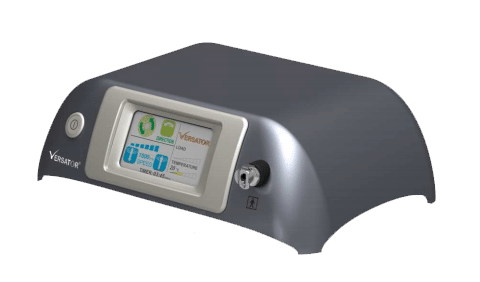 Versator™ Tissue Morcellation System, including MorSafe™, is protected by various granted and pending Patents, Trademark and Copyrights, comprising of US 8608764 B2 EP2393440A2 WO2010089777A2, WO2010089777A3, WO2015151117A2, IN Trademark 1934469 and Morsafe Trademark Application No 2808984 and Copyrights. All rights are reserved with Veol Medical Technologies Pvt. Ltd.